The Long Island & New York City Oldsmobile Club has adopted a Code of Conduct. You can download (See information section downloads) a copy to review. Once you Download review it, sign it and send it to Al Coli 104 Whitewood Drive, Massapequa Park, New York 11762. You will be required to complete the form and submit it with your renewal application. In the Information Section we now have a Leads & Tips Section. 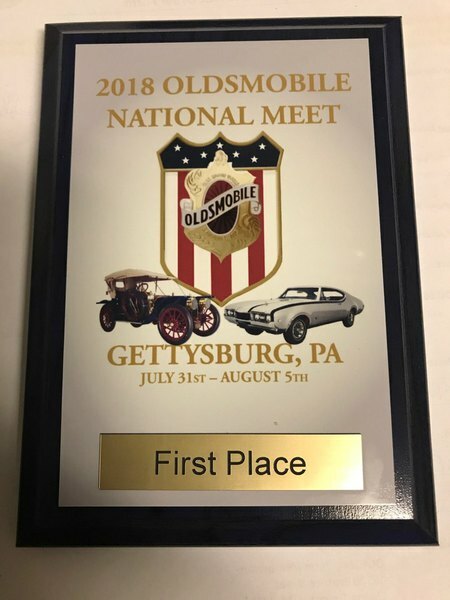 If you have an Oldsmobile Related Item for sale please send a breif description and up to (5) photos we will try to list it. Space permitting. We reserve the right to limit / edit the amount of postings and the content. ads will run for approx 30 days. Ads may be rejected at the discretion of the editor. Bob Yauch's 1970 442 Holiday Coupe Modified. 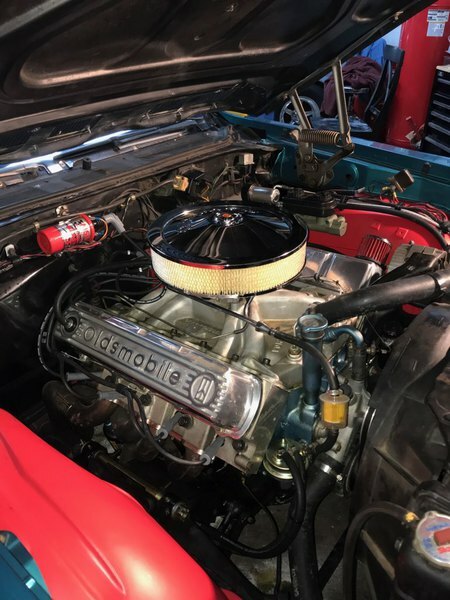 Mods include stroked 455 to 475 CI, ported Edelbrock aluminum heads, solid roller cam, MSD ignition, approx 550 HP, Currie 9” Ford rear w 4.10 Traction Lock, 4 wheel Wilwood 12.25” disc brakes, Hydro-boost power brakes, Billet Specialties Street Lite wheels (17”x8” front, 17”x9.5” rear), 3” SS Pypes X-pipe dual exhaust, M&H Racemaster drag radials. 1966 Delta 88 "Karen's Story"
When I first sat down to write about my car I thought, "This is going to be easy." But it didn’t turn out that way. 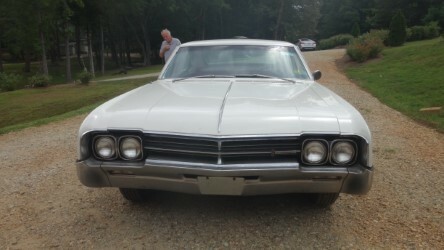 I realized the reason was because that this isn’t just a story of a 1966 Oldsmobile Delta ’88, it’s also a story of a father, daughter and an unlikely bond. The Delta ’88 was my father’s first new car. 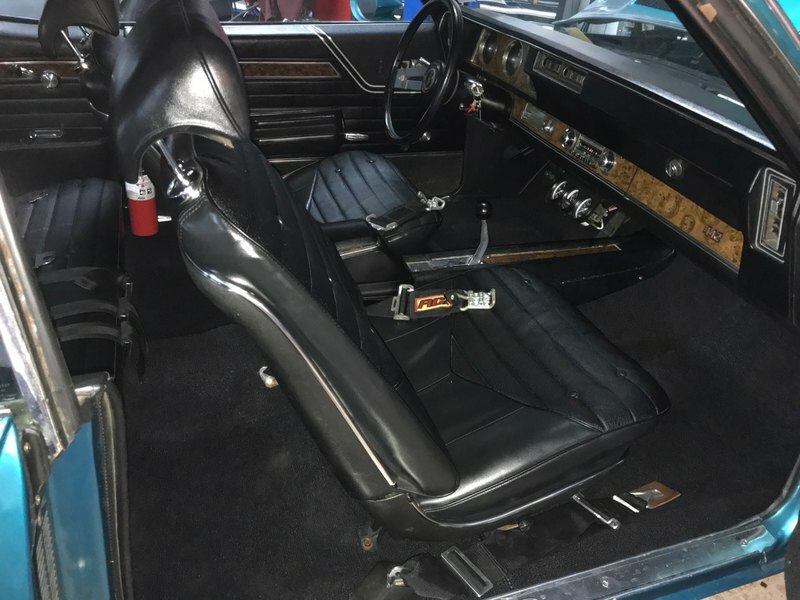 He traded in his 1965 Oldsmobile ’98 for the customized Delta ’88, with a standard transmission and a 3-speed column gear shift. 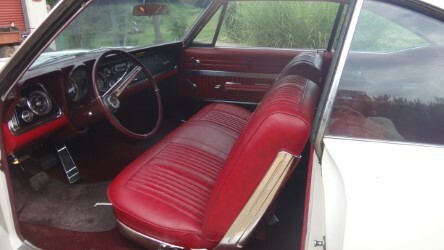 The bill of sale lists it as a 2-door model without air-conditioning, Super Rocket V-8 engine, Roto-Matic Power Steering, Pedal-Ease Power Brakes, Electric Clock, Visor Vanity Mirror, Luggage Compartment Lamp, Under hood Lamp, Glove Box Lamp, Deluxe Radio, Bi-Phonic Rear Radio Speaker, Standard-Size Whitewall Tires, Anti-Spin Rear Axle, Soft-Ray, Tinted Windshield & Windows, Deluxe Front and Rear Seat Belts (which includes Retractors), Hazard Warning Flasher. 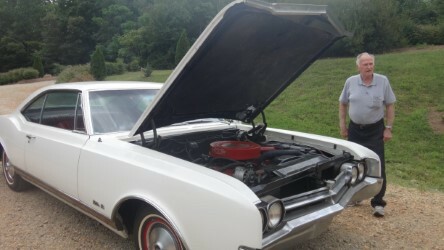 My father wanted the powerful 425 cu engine in the car so he could drive, fast. 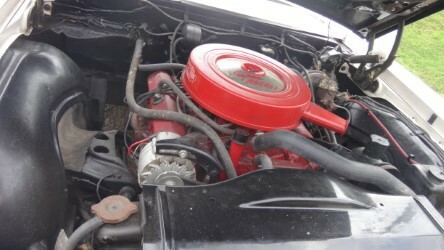 But he didn’t know there would be some quirks to this engine and other aspects of the car. After he first drove about 2,000 the gear shift started seizing up. He took it to the dealer, they couldn’t figure out why this was happening so a mechanic from Oldsmobile came to New York City to take a look at why this new car wasn’t running right. My father was there when the Oldsmobile mechanic yelled at the dealer’s service department that THIS Delta 88 had a standard transmission and it needed breaking oil in the stick shift. Once that was taken care of, it worked fine. However, my father eventually changed this part. The tires on the Delta 88 aren’t original, though an original tire is in the trunk as a spare. My father found that went he floored the car to hit 65 or 70 mph, it kept peeling rubber. 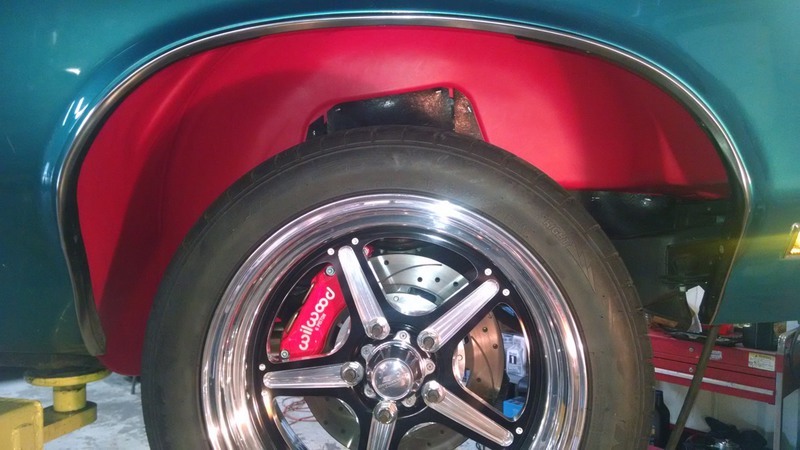 He realized that the tires on the 66 Delta 88 were slightly narrower than the 65 Oldsmobile 98. So, he swapped tires and solved that problem. The clutch is rumored to be hard on this car. 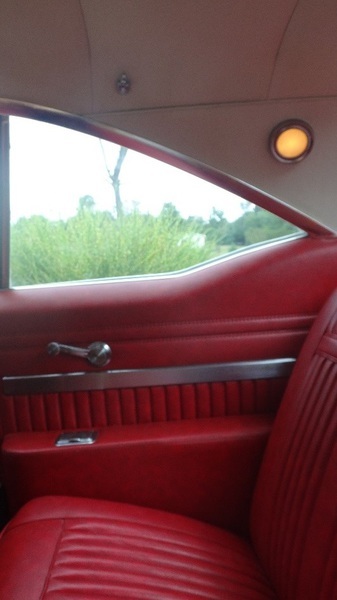 It seems this was the year that Oldsmobile decided to modernize its clutch. This clutch isn’t run through the floor of the car, it comes down from the hood. It’s probably the newest of this clutch change that makes it a hard shift. Does the column shift rather than floor shift have anything do with it? Possibly. Things like this is why my father was never one to jump on the band wagon for the latest technology. He refused air conditioning in the car, choosing fully tinted windows instead, since, as a mechanic, he saw more problems and inefficiencies with the air conditioning of the time than benefits. This is, also, why he didn’t want FM in the car’s radio. The reception wasn’t as good as AM since the frequency, at this time, didn’t have enough transmitters for a consistent clear reception. made of a stone material that strains and clears the gas to keep the car running smoothly. My father found out first hand when he didn’t change this "pebble" at 15,000 miles—the car stops. The dealer insisted that my father pay in full and up front for this "freak" of a car. He felt that if my father didn’t go through with the sale, he’d never be able to sell this Delta 88. 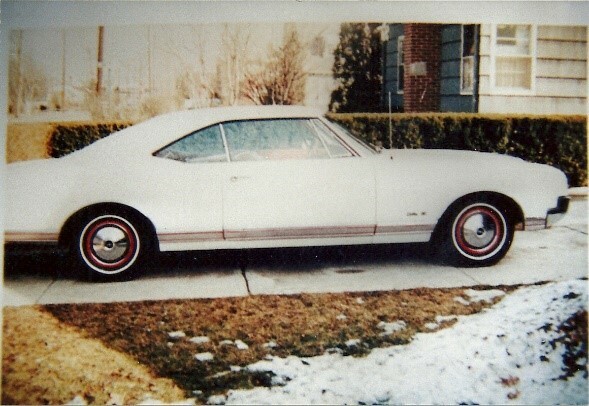 So, for $3,798.03, my father purchased the car and brought it home on January 14, 1966. I was barely 2 weeks old. However, before he brought it home, it went to his auto body repair shop, Universal Auto Body and Repair. This shop was in Astoria, New York and was founded by my grandfather. Every one of my father’s cars first stopped off at the shop for detailing before its debut was made. This, also, doesn’t make it a surprise why my father customized the Delta 88 the way he did. 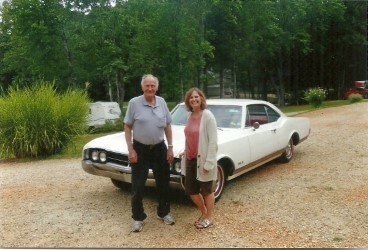 He knew what he wanted because he saw the positives, negatives and possibilities that an Oldsmobile could bring. Our first family outing in the Delta ’88 was for my christening. Coincidence? Not according to my family’s legend. Yes, the legend began with me, but it has never been disputed. I was 2 weeks old and may have had to wait 50 more years to take ownership of my gift but the Delta ’88 was always known as "Karen’s car". 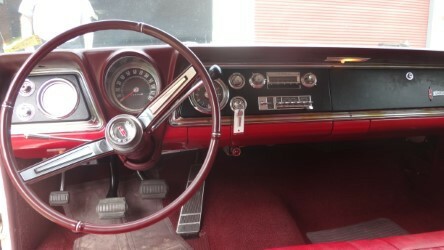 This was solidified early-on when I was a child and became very attached to the car; memorizing the interior from the back seat and deciding that the interior circle lights, over the rear tips of the window, were one of my favorite things about the car, second only to the steering wheel. 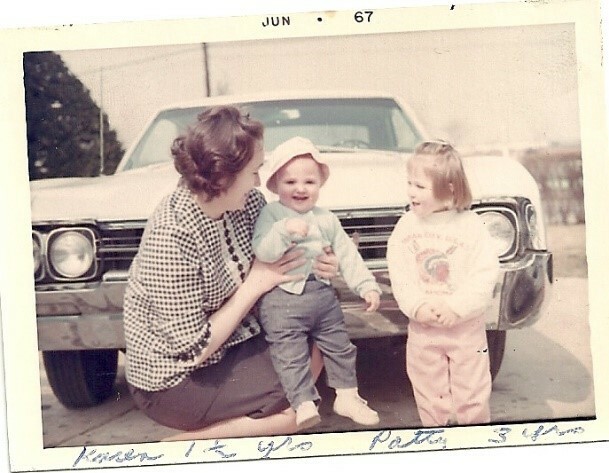 The car did find its way into my childhood imaginary play, though my siblings and I all knew we weren’t ever to touch it so we wouldn’t get fingerprints on it or scratch it. I celebrated my early birthdays whispering to the car that it was its birthday as well. As I got older, my interests shifted and expanded as I entered my pre-teens. Around this same time the Delta ’88 entered retirement and was replaced by a 2 door Buick ’76 Limited. While the Delta ’88 may have been out of sight, it wasn’t out of mind; stored in my great-grandmother’s garage in Pennsylvania. Time passed and daughters do what daughters do: graduate college, get married, move out of state, get divorced and repeat (as often as necessary). But some things don’t change: a father’s love for his daughter. My father was not a demonstrative man. I always thought of him as a 1950s, John Wayne type of man who looked like Alan Alda. But my father always let me know that he worried, cared and loved me through my cars. Whenever I would visit my parents, be it with my Buick Skyhawk (my first new car) or Saturn, my father would always end up quietly going outside and wash my car. Then he’d come inside the house and ask me for the keys. We’d go outside check the fluids and, sometimes, vacuum the inside. He didn’t have to explain, I understood. Over a year ago my father decided to downsize and sell his cars; all 6 of them. When I heard this I immediately told my mother to tell him not to sell the Delta ‘88, it was mine. Rightly so she questioned my sanity. I don’t have a driveway or garage, I live 1 ½ blocks from the Atlantic Ocean and only drove a standard transmission two or three times, and that was in a Fiat Spider convertible. Talk about polar opposites! I know she expected my father to say no, but he didn’t hesitate agreeing that I should have the Delta ‘88. We both knew that the car was always mine. Now the next phase of the Delta ‘88s journey begins. At the moment the car is in storage in Virginia, about 2 hours away from my father at Atlantic Auto Storage. Dave, the owner, took a chance on a phone call from a New Yorker needing to find storage for a car that was in Pennsylvania and needed transport fast. Dave came through. He was, also, fine with my father and I visiting the car at the storage facility even though that is not a common occurrence. Soon the car will have a new home with a non-mechanical owner who, hopefully, won’t burn out the clutch or seize the engine and will be able to handle this big, powerful machine. However, I do remember my father saying that he opened up this car one morning on the Northern State Parkway and it reached 100 mph so quickly the front lifted off the ground. Its positronic rear kept the car from flipping. We’ll see if this Delta ’88 will respond to the daughter as it did the father. Either way, it’s a much-loved car that will continued to be cherished through the second generation. Now the car is transitioning to a new caretaker, who isn’t a mechanic, who has driven automatic small to mid-size sedans her whole life yet has always felt this car needs to be shared with others. What does one do in this situation? 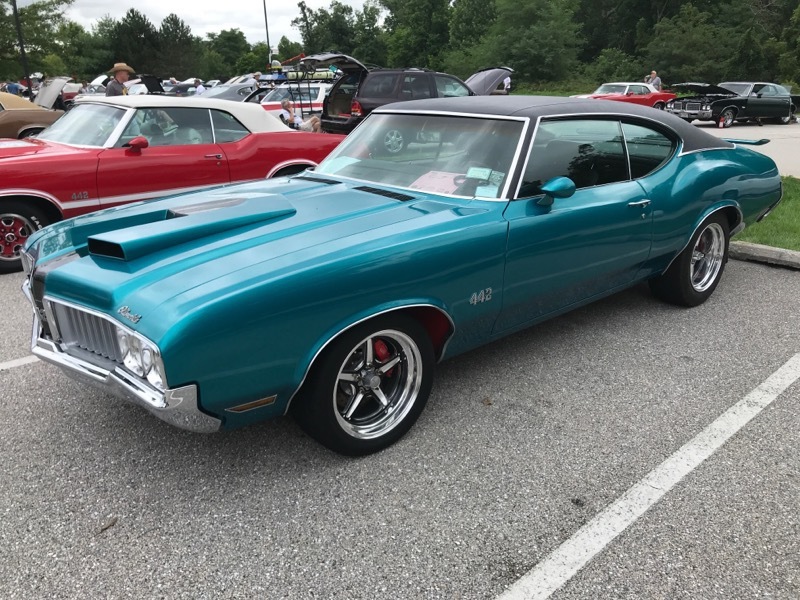 Drag her family to a local car show and find Oldsmobiles! In September 2016, when I realized it was a reality that I finally going to have my beloved 66 Delta 88, I went to the Town of Hempstead’s Seaside Spectacular Collector’s Car Show in Point Lookout, New York with 3 children in tow. I surprised myself at recognizing the front "face" of every Oldsmobile at the show. 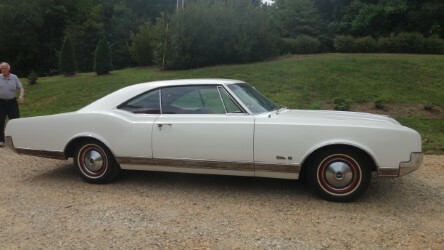 Fortunately, I found one with an owner who was helpful and let me know about the Long Island Oldsmobile Club. She wasn’t a member but felt they could help me. 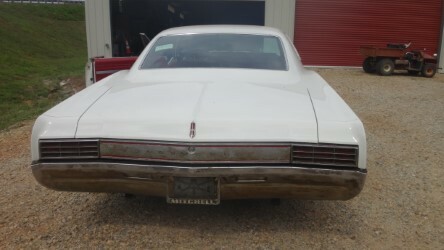 When I finally located the Long Island and New York City Oldsmobile Club’s website I felt a little out of place contacting them and waited several months. But in June 2017, after I had the car securely in storage and was ready to transition the car to New York I finally reached out via email to inquire about the club. That was when Larry and Ed gave me the welcome to attend the next meeting in July. I was nervous but I went prepared with questions that I needed answers to: 1) where do owners store their cars; 2) where do you find someone to work on these antique cars; 3) how do you show cars; 4) what does this car club do?